This weblink goes to an assessment packet custom-made to go with the book Bunnicula. For only six dollars, it has a enough assessment ideas and activities for en entire unit. The packet includes a spelling list of all vocabulary words, an aftter the book multiple choice test, and dictionary definitions for the 19 vocabulary words. It can be used for grades 3-5 and I would definitely recommend everyone reading this to check it out! I found this amazing worksheet that assesses 5th graders on their reading throughout the school year. Students are given a reading, DIBELS or Accelearate Reader (AR), and graded on different variables including accuracy, ability to retell the story and word count. There is also a place on the sheet for students to create goals during the year. It would be great to use because it is one page per student for the entire year and parents/teachers can look at the progress their student has had with reading. In this link, there is a fun assessment for teachers in high school to use called "World History Dinner Party". After learning about several historical figures throughout the year, students create a seating chart for a dinner part and write the conversations people may have. It is a fun way for students to be creative, and to possibly see if Adolf Hitler, for example, might converse with Abraham Lincoln. Since this is for older grades, I recommend teachers use the dinner party idea, but with what their grade level is currently learning. One example could be a conversation between George Washington and Ben Franklin. I found this great assessment worksheet for teachers! It assesses writing with 15 separate parts. There is no score, only "agree"/"disagree" columns and a place for comments. This rubric would be great to use with any grade level because they can see what they need to work on, not just a grade for their work. This link is for 5th grade reading worksheets. Worksheets cover comprehension of four genres: non-fiction, fiction, biography, and poems. Each worksheet includes the story/poem and several pages to assess comprehension. I recommend doing the worksheets over a few days, so there is more time given for the story and comprehension as wells as giving the students the ability to go back to the story. Middle School Reading Comprehension. This link is from the same website as above, but the worksheets are specifically for middle school age. There are worksheets for non-fiction stories and only two worksheets for poems. I think there is only a few because of the grade level, since they are more likely write papers or reflections for assessments than to fill out a worksheet (in my opinion). 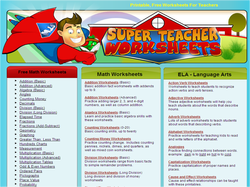 Even though there is not a lot of worksheets, they are still wonderful to use! Please check out this link if you need help on Literature Circle ideas. This page has everything: surveys, book report sheets for several genres, ideas for Literature Circle "roles," and story maps. Some of the assessments would be too easy for older students, so I recommend adding on to the worksheets or making them a little more challenging. This way you can use some of the fun ideas for older kids because they will also enjoy fun assessments!